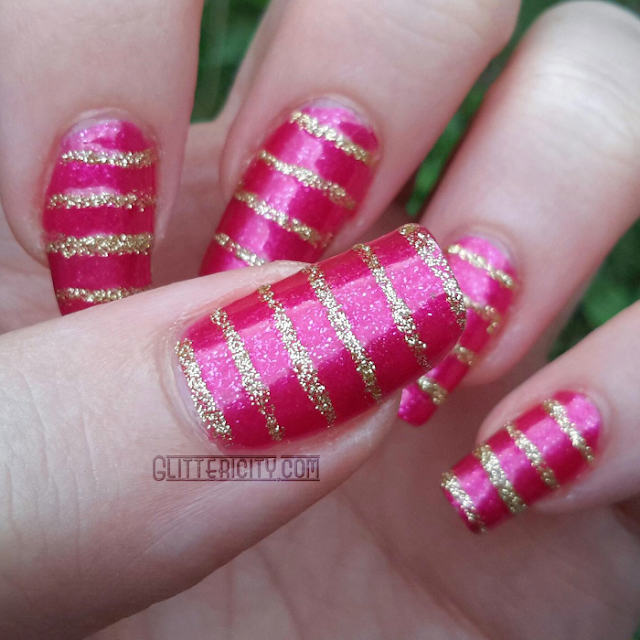 Today's mani is another simple yet beautiful look! The base colour is the star of today's show! 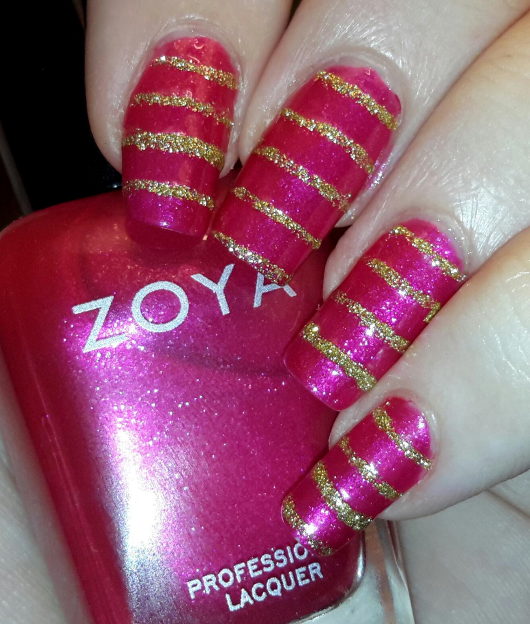 Zoya Mae is that amazing blue-leaning brilliant hot pink with mesmerising microfleck shimmer. It was part of their 2015 Paradise Sun collection, which I bought in its entirety, because they all have this pearly-flecky-shimmer that gives beautiful depth. Only two coats was needed to create this base it looks like you could dive right into. As is so often the case, I had bigger plans for this, but I really didn't want to cover up much of that stunning colour! 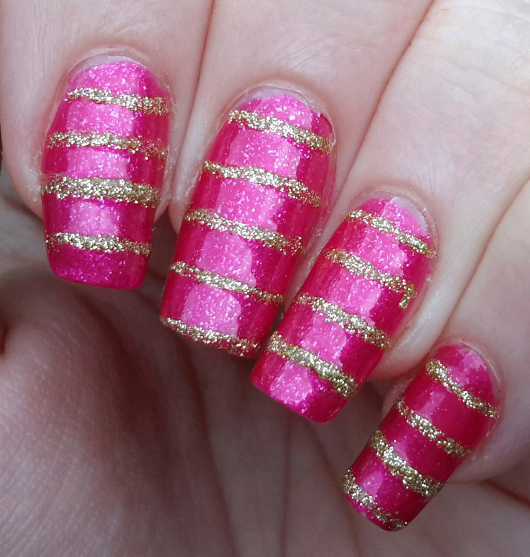 So I just used a gold glitter striper to freehand these horizontal stripes. It isn't perfect, but that's okay. 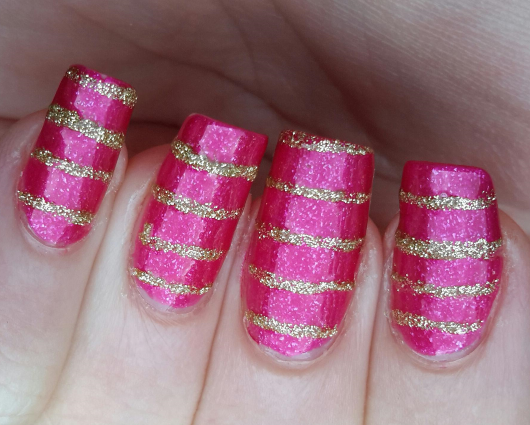 The raised texture adds some more interest to the mani, even after a generous application of Seche Vite topcoat.